Whether you’re a speech and language pathologist (SLP), an SLP college student, a parent of children with speech delays, or someone trying to improve their American English accent, you’re going to find this an invaluable application. A first of its kind in the field, Speech Tutor brings the latest in technology and animation to the world of speech. 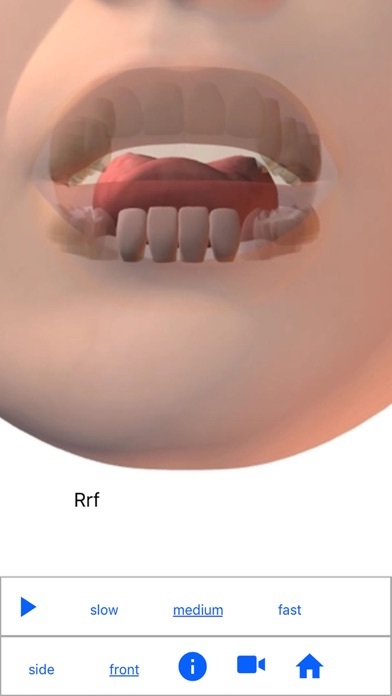 The animations inside Speech Tutor take the areas of the face that impede the view of tongue placement and positioning and make them transparent. 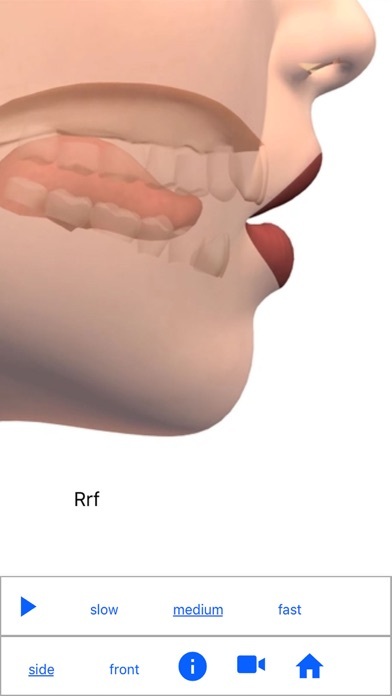 Now one can literally see inside the mouth as the sounds are being made! 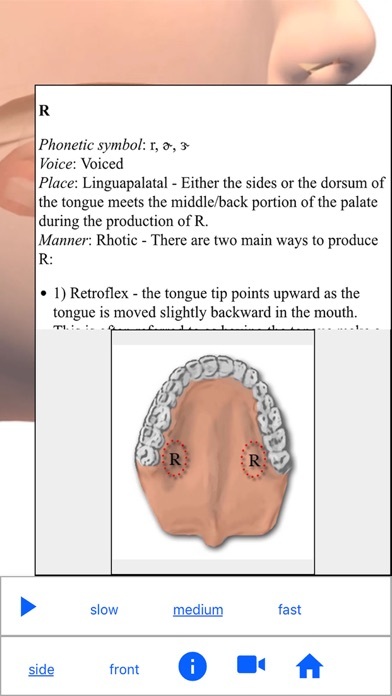 Speech Tutor offers a “Side View” and a “Front View” of each sound production, both of which can be viewed at 3 different speeds (slow, medium, fast). The movies can also be paused any given point. With 132 animations in all, Speech Tutor is sure to offer a helpful view and speed for anyone in need. Speech Tutor does not stop there though. 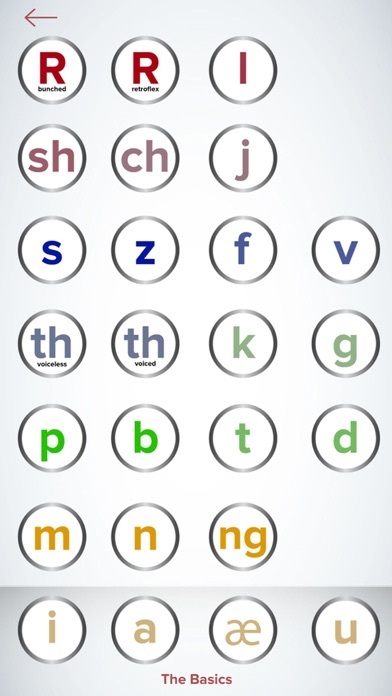 Non SLPs can begin the application by reading an easy to understand “Basics” tutorial which provides the reader with a solid foundation of the basic knowledge needed to know before attempting to improve any/all English consonants. Also provided is detailed text specific to each sound that further describes how each sound is technically made, tips provided by licensed speech and language pathologists, and milestones for when each sound should be acquired and mastered. 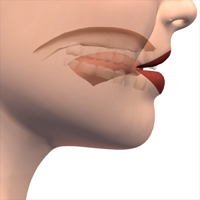 Along with viewing the animations, one can also view a “Palate” diagram to further demonstrate where on the palate the tongue should be placed. 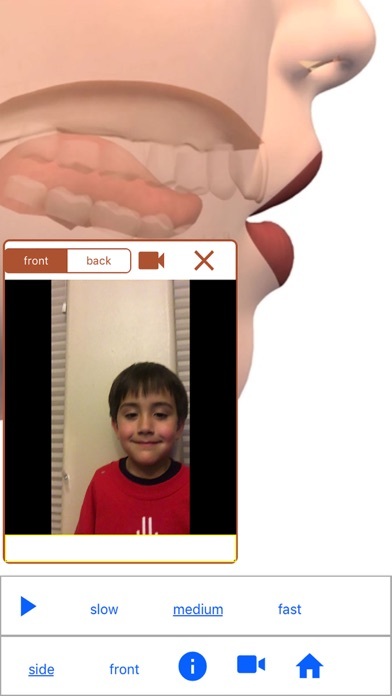 Last but not least, users of the application can choose to record themselves as they practice their target sounds and then choose to play it before and after a correctly modeled production.